The online Diploma course in Pet Nutrition covers in detail the important skills and knowledge that pertains to learning the requisites of pet nutrition, from how nutrition is important to maintain the physical condition of the body and muscle tone, to the digestive system and how a healthy digestion is influenced by nutrition.With the help of practical examples, this course will give students an insight and understanding of Pet Nutrition. Irrespective of your background, whether you have worked in this field for years or are interested in this industry and would like to work with animals specifically household pets or would just like to gain more knowledge about this area of study, this course will guide you by providing a variety of modules and numerous examples for assessment.The primary focus of the Pet Nutrition Diploma course will be on the dietary requirements of the animals and students will be taught all they need to know about pet nutrition including the types of food, various types of diet and various food levels for the different types of pets. The course will also cover the importance of pet nutrition, how pet foods are to be selected, the digestion system, etc. Upon completion of the course, you would have gained a good understanding of pet nutrition and also have learnt the important concepts of pet nutrition. 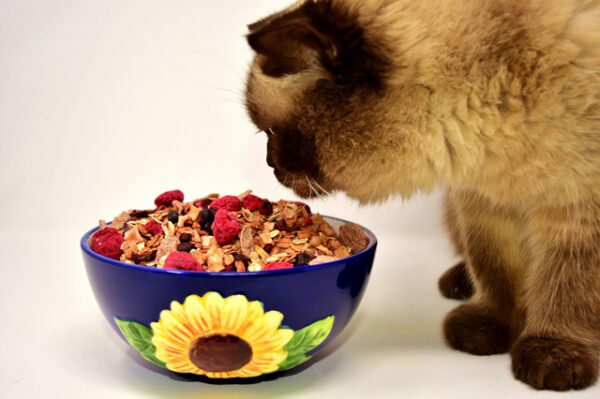 The primary aim of the course is to provide students with the knowledge required about pet nutrition so that they can provide consultation regarding pets and pet nutrition. An online assessment of the course is done using a test paper containing multiple-choice questions and the marking of the paper is done automatically. You can know whether the test paper has been passed or not in an instant. The qualification of Pet Nutrition Diploma will be conferred on those who pass the test and the Certificate will be provided in PDF format at no extra cost.